The 30 cm domino hi-light ceramic hob has a minimalist, modern style. The two hi-light cooking zones are efficient and ultra-fast, reaching temperature in just three seconds. The nine power settings offer versatility when cooking with the hob. The digital touch controls are located at the front for ease, and are simple to use whilst also adding to the appliance's modern design. The child safety lock prevents children from accessing and operating the hob. This is reassuring if you have small, curious children. 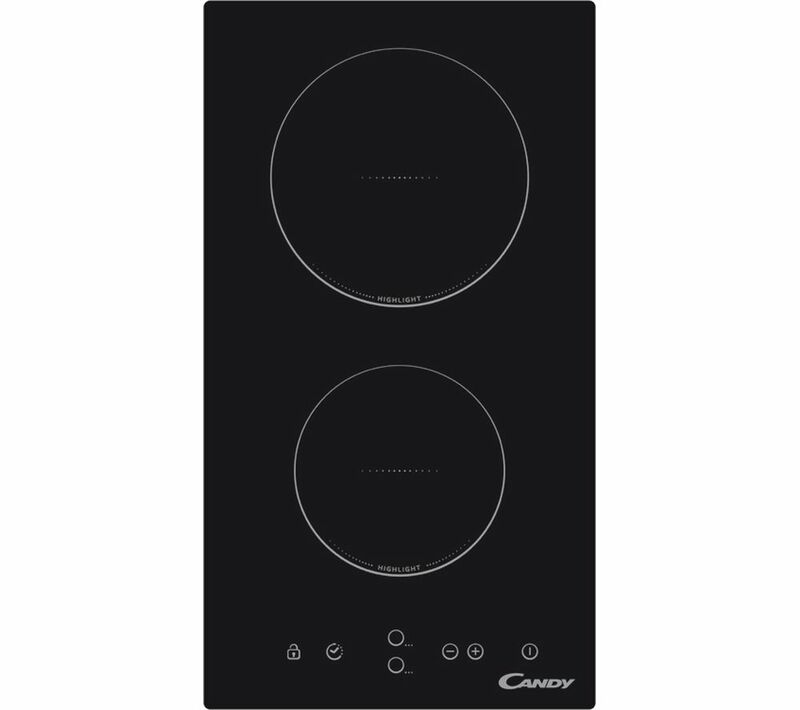 The Candy CDH30 Electric Ceramic Domino Hob has an easy-to-clean cooking surface thanks to the smooth ceramic glass. Simply use a damp cloth to wipe it down with no hassle.